But anyways, a couple announcements! This Thursday, Magnetic North will be the focus of Comic Tea Party‘s webcomic chat! So if you’re inclined, go check that out! There will be no official junkfood next week, it’ll be an actual page to thank y’all for being so patient with me the last 7 weeks. There will, however, be a halloween illustration up on my patreon for $1 patrons. 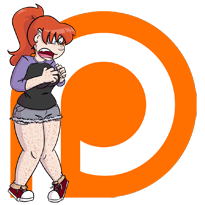 Speaking of the patreon, for as long as my buffer allows, I’m going to start giving $1 patrons early access to the next page on Thursdays. Fourth! New twc incentive, so please go vote! 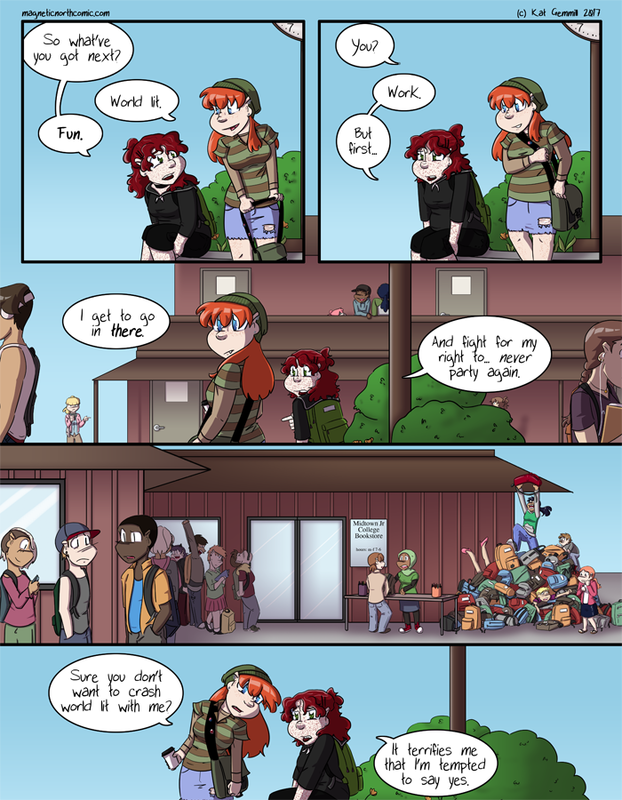 Finally, I’m really stupid proud of this page. That backpack panel took 6 hours on it’s own but I have no regrets in this world, it’s my favorite thing I’ve ever drawn.